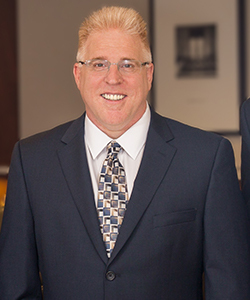 Frank C. Powell is a Conroe and Houston criminal defense lawyer with an impressive scientific background. Before co-founding Evans & Powell, PLLC, Dr. Powell practiced medicine for over two decades. Dr. Powell completed law school at South Texas College of Law in Houston in two years, graduating with honors. He received his master’s degree from the University of Florida with a concentration in Forensic DNA Analysis and Serology. Dr. Powell is Board Certified in Diagnostic Radiology, and he has been recognized as a DWI Trial Warrior by the Texas Criminal Defense Lawyers Association (TDCLA). In his free time, he enjoys restoring old muscle cars and antique firearms as well as spending time with his family and pet bulldog.